Over 40 million Americans have seen Dateline NBC's ongoing 'To Catch a Predator' series, with an average of 11 million viewers per episode. So far, the Dateline series has led to the arrest of over 200 men and has shown that child predators can be anyone-even those who are the most trusted in the community, including rabbis and teachers. In his book To Catch a Predator, Chris Hansen, the on-air correspondent for one of Dateline's most successful series, looks deeper into the world of child predators. 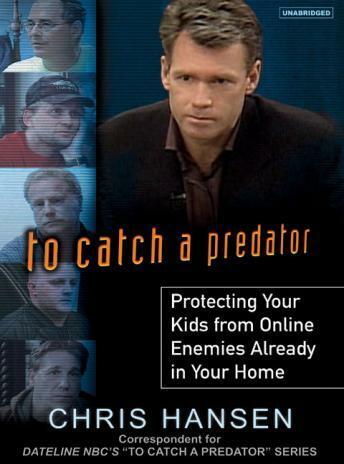 The book expands beyond the Dateline series to include more commentary from psychological and criminal experts about the origins and methods of child predators, and includes substantive advice for both parents and children on how to protect kids who use the Internet from predators. Hansen also looks at the current methods for treating child predators. To Catch a Predator presents a strong analysis of what some feel is a child predator epidemic and a startling look at the shortcomings of our systems and society.